Domain Names @ WESH UK | Registering Domain Names | Buying domain names. As an accredited Nominet Partner, buying domain names through us gives you long term peace of mind. Registering domain names with us is easy, giving you a website address you can be proud of. When registering a domain name with us, try to include a search term people will use to search for your site. Our staff are all 100% UK based, born and bred who speak your language, both technical and non-techie. We’re always happy to hear from you and talk about your domain names 7 days a week. Many of our high profile national and EU customers have been with us for more than 10+ years and still rate us highly against others. 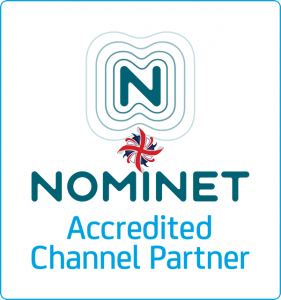 We’re also among the 10% of accredited Nominet UK registrars. IPv6 Ready and 2 separate places for you to have complete, instant DNS management for all of your domain names right on our website or within your cPanel. If you’re not sure how to choose the perfect domain names or not sure what your doing and need some help choosing a domain name, grab a cuppa and give us a call to chat about it. NO transfer fees at all to bring any UK domain names in or out of WESH UK, EVER! Transfer for free, for life. Something to check carefully with other UK registrars. Our domain costs are typically lower than any other major domain registrar or web hosting company both in the UK and abroad. Guaranteed to save you money! Things to consider before buying a domain name. Before buying a domain name, you should consider which domain name extension is going to be a suitable extension, which depends on what you want it to represent. Each type of domain name extension is relevant to a brand, an audience, a business or personal venture and even a geographical area, and so you should adapt it for the purpose of the website. Can others spell your domain name easily? Is your domain name long enough to make visitors give up? Does your domain name contain numbers that could be mistaken for words? Do you have 1 or more hyphens in your domain name making it awkward to learn? Is a non-hyphenated version of your domain name already in use with another company? You need to consider several things prior to starting the domain name registration process, to avoid losing valuable website traffic. What could happen if website visitors incorrectly type in your domain name, or if your domain name is trademarked you may leave yourself open to legal action if your not careful. Don’t get it wrong. Take your time. Sleep on it. A study once showed that 41% of UK businesses rush buying domain names, and take less than one hour to make a decision! This survey of British businesses revealed that the average business spends only between 6-12 hours choosing its main domain name. 61 percent of business owners sought no second opinion before making a selection. Most people recognise that a poor choice of domain name could have a lasting effect on their business. One third of businesses believe that their revenue would improve as a direct result of having a better web address, and 25% of businesses admitted they had concerns about the effectiveness of their web address. We can help you with every step of transferring any domain name to us, or do it for you, no matter where it’s registered. To transfer any UK domain name to WESH UK, order a domain name transfer, then change the TAG of that domain name to “WESHUK”. Once the TAG of the .UK domain name has been changed, your .uk domain name should then finalise the same day. Top Level Domain name transfers. Any .com/.net/.biz domain names transfer for free and automatically renew for 1yrs upon transfer. Ensure your current email registered against your domain name is up-to-date. Obtain the EPP/Auth code for it by email. After ordering your transfer, verify the transfer approval by email. Once you have your EPP/Auth code, and have unlocked your domain name, you can then order for a domain name transfer on our website. All UK domain names registered through us are registered with Nominet. To get started transferring your domain names to WESH UK, click here! Switching your DNS easily without downtime. Our clustered DNS name servers will also be provided in your web hosting account details email, so that once your domain name transfer has begun, it will have absolutely no impact or affect on your web site at all, and cause no downtime what-so-ever. This does however require that the people taking care of your domain name know HOW to make this slick changeover, without causing any-downtime at all, so if you would like to switch to a fantastic UK Web Hosting company and want us to take care of the switchover, then please do call and ask. We never charge you for ANY domain name transfers away from us EVER. All TLD domains (.com/.net/.biz etc) do incur a 1 year renewal being added to your registration upon domain transfer. Nominet accredited domain name registration provider. Of the 3000 UK domain name registration providers, only around 10% are accredited. Is your current domain name provider accredited, have their own TAG & follow a strict set of Nominet guidelines? Your domain names are your brand, your online identity and your email, so getting it right is critical.. It is important to choose a domain name that not only represents your company but is also easy to remember. If you are registering domain names, we can offer advice, help and guidance on choosing a suitable domain name. Feel free to give us a call or use Facebook Messenger for a chat about your domain name registration choices. Our domain names are cheaper than some of the biggest domain name registrars with no crazy renewal fee’s. If you’re not sure what your doing or need some help choosing a domain, grab a cuppa and give us a call to chat about it. NO transfer fees at all to bring any UK domain names in or out of WESH UK, EVER! Transfer for free, for life. Complete, instant DNS management for all of your domain names right on our website. Our DNS is also IPv6 Ready. We never subsidise domain names only to add outrageous admin fee’s or transfer fee’s later. You pay what you see. Many of our high profile customers have been with us for 10+ years and still rate us highly against others.